Do these cabbies look like bigots? A BOSTON CABDRIVER is in Brigham and Women's Hospital, barely able to speak or move because the bullet fired into his neck has left him partially paralyzed. One of the three passengers suspected of shooting him has been arrested (the other two are still at large). Other cabbies, angered and shaken by the violent crime that victimized their friend, have told reporters they aren't going to drive into high-crime neighborhoods, especially at night when the risk of getting attacked is higher. The one thing nearly every person in this story has in common is color. Yves Andre, the cabbie shot by armed passengers on July 3; Raymond Robinson, the Dorchester man arrested this week; the cabbies who spoke to the press about not wanting to pick up or drop off fares in Roxbury, Mattapan, and Dorchester – virtually all of them are black. If there is anything this is not about, in other words, it's racism. But that didn't stop Boston's politicians and police officials from labeling as racist the drivers' uneasiness about going into neighborhoods where they feel vulnerable. "We will not tolerate any discrimination," Mayor Thomas Menino warned. City Council President Charles Yancey blasted anyone thinking "that the only individuals who may commit this kind of crime would be young, black males." A particularly nasty comment came from Mark Cohen, the director of the police department's hackney division. "We're not going to let them systematically redline neighborhoods," he said, choosing a word with a particularly hateful legacy in Boston. 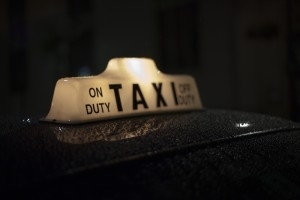 The city's police commissioner announced that, should it become necessary, he is prepared to "sting" drivers with undercover officers posing as would-be passengers in order to enforce the law requiring cabs to pick up any customer who isn't obviously drunk or clearly threatening. I've got a better idea, commissioner. How about sending undercover cops into Roxbury, Mattapan, and Dorchester to pose as cabdrivers? In fact, why don't you, Menino, and Cohen spend a few days doing it yourselves – cruising for street fares and answering radio calls late at night in neighborhoods with a bad reputation? For purposes of authenticity, you'll want to drive unarmed, of course. That way you'll know that nothing is protecting you from a menacing passenger except a plexiglass partition. Not that that did Andre much good; the thugs he picked up fired at him through the window after they got out. How easy it is to beat up on nervous cabdrivers and accuse them of bigotry. How hard to do what they do daily: pick up 30 or 40 strangers and go wherever they say, never knowing in advance if they are going to pay you or stiff you – or shoot you. And to do it for 10 or 12 hours at a stretch, all to earn crummy wages out of which, like a modern sharecropper, you have to pay steep lease rates (or make hefty monthly medallion payments), in addition to covering the daily expenses of keeping the car running. It takes real powers of imagination to believe that anyone who works as hard as most cabbies do is going to turn up his nose at a paying customer because he doesn't like the color of the guy's skin. Especially when it's the same color as his own. "I've driven passengers to those neighborhoods and had them say, 'As soon as you drop me, lock your doors and get the hell out of here,'" says a Boston-area cabbie with 18 years of experience. "I've felt nervous hitting major intersections like Blue [Hill Avenue] and Seaver [Street] – forced to stop at a red light where there are kids hanging out on the corner, trying to get into the cab. I've started blowing the red light. Better than sitting there and taking a chance." That isn't racism talking, it's realism. Last year Secretary of Labor Alexis Herman described assaults and homicides against cabbies as nearing "epidemic" proportions. "Taxi drivers are 60 times more likely than other workers to be murdered on the job," she said. The Bureau of Labor Statistics calculated in 1998 that taxi drivers suffer a higher rate of violent assault than any other occupation except police and private security guards. Police and security guards, it should hardly need pointing out, are paid to confront criminals and are generally armed. Cabdrivers are paid to drive a car and are generally defenseless. It is reasonable to tell taxi drivers they may not refuse a fare on the basis of race. But it is wholly unreasonable to tell them they must risk life and limb by picking up riders or driving to destinations that instinct and experience tell them to avoid. The line between those two may not always be clear. In this case it is. Bigotry – real bigotry – is indisputably ugly. But the bullet in Yves Andre's throat is uglier. Andre, by the way, used to make a point of not avoiding trips to high-crime neighborhoods. "These are our people," he once said, "so let me try to help them." His decency does him credit. But his friends deserve no blame for putting safety first. (Jeff Jacoby is a columnist for The Boston Globe). Follow Jeff Jacoby on Twitter. "Like" Jeff Jacoby's columns on Facebook.